On Raw Honey, his second album as Drugdealer, Michael Collins colors these existential conundrums with lush arrangements, memetic melodies, and a vulnerable tunefulness that tries to make sense of self-doubt and connected loneliness in our shared simulacra. 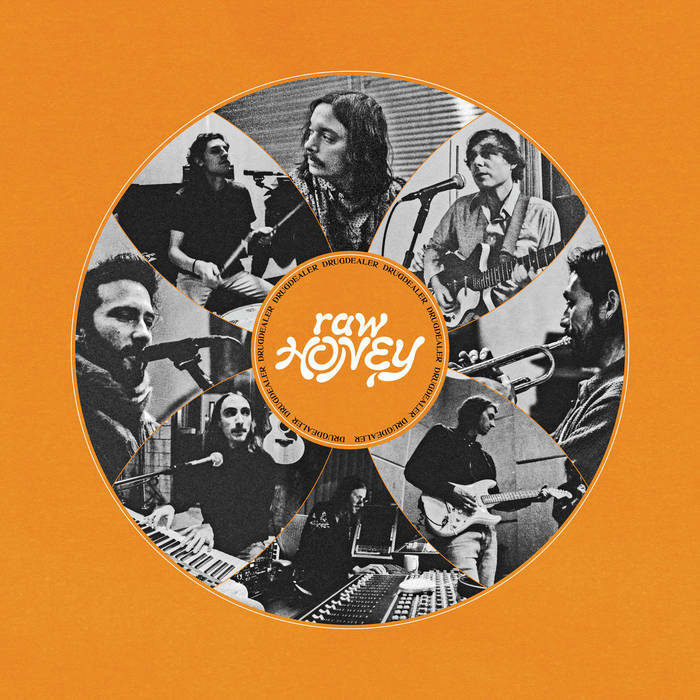 Raw Honey continues where The End of Comedy left off, with Collins leading an ace crew of collaborators to coalesce the spirit of Drugdealer’s classically modern pop. Built on the foundation of a creative partnership among Collins, Sasha Winn (vocals) and Shags Chamberlain (bass, production), Drugdealer is more a collective than band. Raw Honey features contributions of Josh Da Costa (drums), Jackson MacIntosh (guitar), Danny Garcia (guitar), Michael Long (lead guitar), and Benjamin Schwab (backing vocals, guitar, organ, piano, wurlitzer), as well as guest vocalists like country balladeer Dougie Poole (“Wild Motion”), Harley Hill-Richmond (“Lonely”), and frequent collaborator Natalie Mering (Weyes Blood) whose dulcet tones sing low before soaring on “Honey,” a track as silky as the nectar itself.